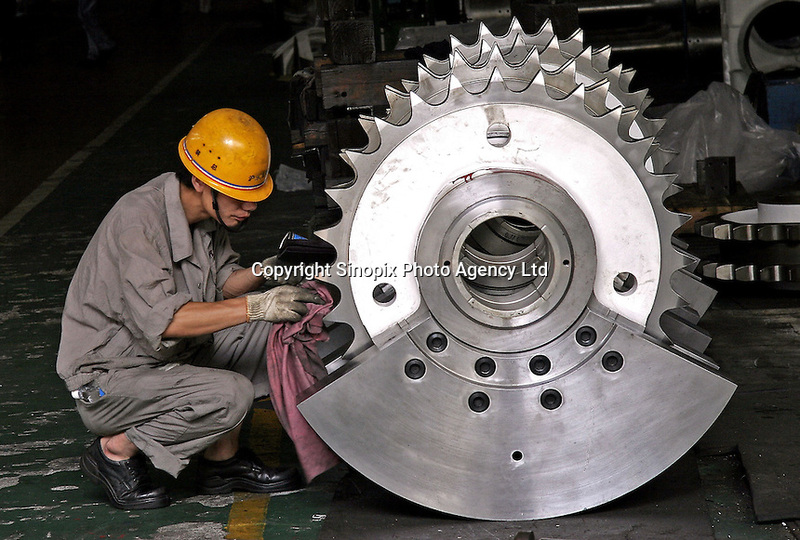 A Chinese technician examines a gear box at the Hudong Zhonghua Shipbuilding Co., LTD in Shanghai, China. China is the world's third largest shipbuilding nation after South Korea and Japan. While growing international interest in its lower building cost and domestic tanker demand to fulfill the country's hunger for energy is likely to push the country to the top position, the rapidly increasing price of steel has also undercut the industry's profitability..